Our customers want insights–they want to learn more about what they could achieve, how they can improve, why they might change! In my experience, this has always been critical to engaging customers. Today, it’s just as critical, perhaps more so, because if we aren’t providing it, they can find it elsewhere. But Insight and Challenging the customer to think differently is not the goal, it’s only the beginning. Insight helps the customer to understand new possibilities and should instigate change. But that’s just the starting point. The goal, as it is in any selling or buying situation is to help the customer achieve outcomes! Too often, with all the hype about insight and challenging, I think we lose sight of this. When I talk to people about Challenger Selling, too many are left with the impression (I’m certain unintended by the authors) that, after providing Insight, the customer is wowed, and immediately signs a purchase order. Providing insight and challenging the customer is just the starting point. Insights, without translating them into results is just dreaming. So providing insight is just the start of the journey, all the hard work follows. At this point, it becomes about helping the customer buy, then after they buy helping assure they achieve the outcomes they expected. Once we have incited the customer to change, they still have to buy. But this is the point where we can maximize our value creation–far beyond just providing insight. Let’s think about it a bit. One of the responses we hope to get in providing customers insight is, “I’ve never thought of that before!” Properly, with insight we are trying to get the customer to think differently. But here’s where the big challenge comes in. If they have never thought about it before, but now they want to move forward, they probably are absolutely clueless about how they should buy! Stands to reason doesn’t it? This is where great sales professionals really make a difference, they help the customer figure out how they should buy. Evaluating alternatives and vendors is just a part of the buying process. The customers must organize themselves. They must align the interests and agendas of all the people involved in the buying process and impacted by the decision. The customer must lock in on what they want to achieve, and why. Despite all the claims about no longer needing to do needs identification with Challenger, the reality is the customer has to do this! In determining the outcomes they hope to achieve and how they will achieve them, they need to determine their needs, they need to define the problems they are trying to solve, they need to develop a plan for solving those problems—which may include evaluating alternative solutions. Facilitating the customer buying process has always been a critical element of value creation and differentiation for top sales professionals. Challenging them, providing insight through the entire buying process is the leadership that great sales people provide. For example, Are they asking themselves the right questions? Are the engaging the right people? Are they understanding what it takes to achieve the desired outcomes, are they understanding and managing the risks? Are they investing in developing a plan that enables them to achieve the outcomes—identifying and committing the right resources, developing the right implementation and project plans. The list can go on. This is where the value of the challenging sales person really comes to the front. This is where great sales people differentiate themselves from everyone else. They realize challenging and insight doesn’t stop when the customer says, “Yes, we should do this!” But challenging and insight continues through the entire buying process and is demonstrated through the leadership the sales professional provides in helping the customer buy. The great sales people don’t get the customer to think differently at the beginning, then go back to normal business. They get people to think differently and better through the entire buying process. But it doesn’t stop there. The real challenger sales person is driven by results and outcomes—customer results and outcomes. While they may not be directly involved in the project implementation, they stay engaged. They make sure the customer doesn’t deviate from their plan–cheating themselves of the results and outcomes. They make sure their own company lives up to it’s commitments in helping the customer achieve the results and outcomes expected. Challenging and providing insight is critical in engaging the customer, to incite change and to initiate new buying processes. But we can’t stop there–we have to help the customer achieve the outcomes and results they dream of. This means guiding them through the buying and implementation process. Without this, we are just sharing dreams with the customer. Without providing the subsequent leadership, the customer will find someone who will. 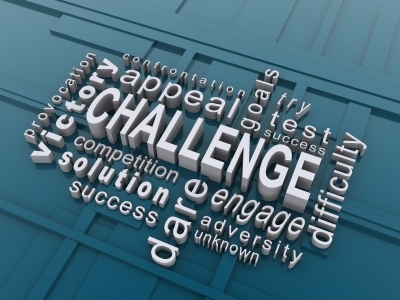 Challenging the customer is critical! But it’s not just at the start, it continues through the entire process. It’s what the customer needs, it’s what they value, it’s what truly differentiates the Challenger. If we have succeeded in challenging the customer and inciting them to change, how do we help them achieve the outcomes? How do we engage the customer in thinking differently through their buying process? What insight can we offer through each part of the buying process? How do we make sure the customer is prepared to achieve the outcomes they expect? What Does “Insight” Mean In 2019 And Beyond? I couldn’t agree more that we only made the first step, when we challenged the customers with insights, business impact, different ways to think about a certain problem. This very important and often not the comfort zone of sales forces – to deliver this “why change” story, to generate new business opportunities. This is actually what we call the first sales milestone – getting appropriate / executive access. This is where The Challenger Sale stops, unfortunately. But especially for complex business scenarios, that’s only the beginning. 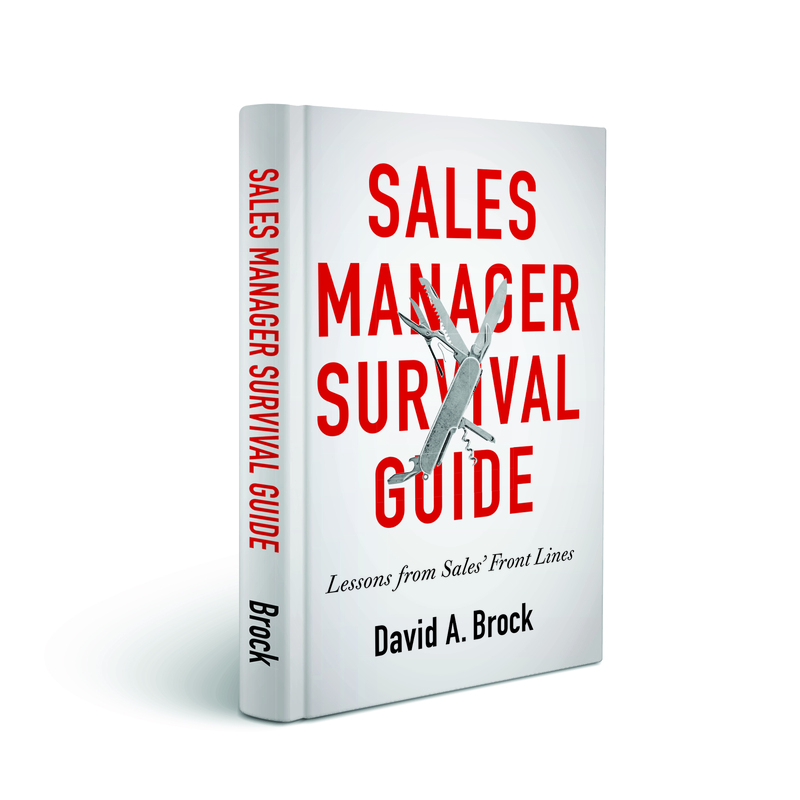 Then, the next difficult part begins, the second sales milestone, how to have successful meetings with all the impacted stakeholders that are relevant to get a buy decision. Here, we need tailored messages for each stakeholder role, and in parallel different selling skills. Finally , we need a win/win business case, we need to proof the value, instead of talking about prices. Customer Outcomes: I started a series on outcome selling on my blog, it’s too fascinating, http://blog.tamaraschenk.com/?p=536. First, I think, modeling the customer challenge and the outcome first and how it gets measured is crucial for success, before anybody is even thinking about a certain service, product or solution. Then, the necessary capabilities in general have to be derived, then the part a certain vendor can contribute. I experienced so often, that sellers get it immediately, when they recognize how much more services they can address, working backwards from the outcome instead of pushing a single service or solution. Thanks for initiating this important discussion! Thanks for the great insight 😉 Tamara! In truth, perhaps we’ve lost what the true value of insight, or even just plain selling is—it’s about helping the customer produce results and outcomes. Your approach of starting with the desired outcomes and working backwards, developing our strategies with the customer is really what the customer wants. Another great post! And Tamara, I appreciate your comments and blog post as well. The difficulty I see from the sales person’s point of view of the Challenger method…Once sales challenges and gets the customer thinking differently, are there sufficient resources and commitment behind that sales person to go all the way to the customer outcome? I think there was another post that talked about sending the sales force out there naked? The complexity of the sale/product/solution matters. More transactional business requires less in the way of messages to all stakeholders as there are generally fewer in that process. However as you move up to a solution sell or a complex sale, the message needs to be tailored to each functional decision maker and internally the corresponding department must have the same message to execute. For example if financing and terms are part of the deal, the finance department and sales department must be delivering the same value message to the customer. If a major benefit of the solution solves a problem in manufacturing then the manufacturing message needs to be translated to user friendly language for the design community. Great posts keep me thinking. Natalie: Thanks for the comment. Actually, the “sending them out naked” was a post I wrote about a year ago. I had some conversations with Matt at the time, that Challenger had to be viewed as a business strategy, not a sales strategy. If the company isn’t aligned around this, providing the support to sales, it won’t achieve full impact. Just the other day, I spoke to a sales executive who was experiencing just that. But the issue isn’t just a Challenger issue. Too many of the conversations I read or am involved in move away from customer impact and outcomes. We talk about insight and ideas to help the customer, but we don’t tie those directly to outcomes. We need to start this at the inception of the process and continue throughout. On a different point, as you outline, Insight isn’t reserved to the key decisionmaker or the very beginning of the process. We need to provide relevant insights to everyone involved–tying those to outcomes, and at each step of the sales process. They don’t have to be “mega-insights” but they have to bring fresh thinking to the customer (Wrote about this in another post). As, always, your contributions and front line perspectives are always right on target! Thanks so much. Thanks for the comment Jack. Actually, I didn’t mean to be tough on Challenger, they after all don’t own the concept of Insight Selling, that’s been around for decades, though poorly executed. Challenger has helped focus and improve that. 1. Insight can and should happen at every phase of the selling process. It is not just the “Insight Pitch,” that gets people hot and lathered, but we create insights throughout the sales/buying process by the questions we ask, the experience we bring, and the way we help facilitate the buying process (I do think the Challenger folks have missed the tremendous opportunity to apply their approach through the entire sales process. There are great applications of what they do at every phase). 2. Too many discussions focus on the ideas, not the outcomes. This is not a Challenger issue, it is a selling issue. I’m reminded of the slightly off color story of the lady who was marrying for the third time, yet neither of her previous marriages had been consummated. When asked, she replied, “The first time, my husband was very old and had a heart attack and died on our wedding night. The second, I married a sales person, he just stood talking about how wonderful it was going to be….” Ideas incite change, and drive innovation and creativity. But without outcomes, they just die. Thanks, as always, for the comment! Appreciate your experience, insight and wisdom. Thanks for raising our games! Thanks Mike! Ideas are nice, but everyone–the customer and us get paid on results. We can never lose site of that. Since you’ve brought it up, Insight gets you into scoring position–but you still have to get over the goal line! Always love your comments Mike! Sounds like a salesperson who cares, who treats his responsibility to his customer as though it were a fiduciary responsibility. Wouldn’t it be great if all salespeople saw it this way? Thanks Bob. We’re all in it for results. If the customer produces results, then we produce results. Pretty simple, but sometime we lose track of that. As always, your views are welcomed and add to the discussion immensely. Yeah, no surprise that I agree with you. Once again, I will harp on the behavior of top 4% sales people. They may actually deliver some “wow, I hadn’t thought of that!” insights. But you can bet those insights are situational and not something that is pre-orchestrated by Marketing and handed out. That’s my problem with the way I hear people talk about selling by insight or challenging. I just don’t see how you can cascade that sort of thing across an organization (effectively). And you can bet, in those situational moments where insight is delivered, a top 4%er is using the flash insight and new information in context of what the client wants to achieve (desired outcomes… either the avoidance of something, an achievement, or both). How I’d love to clone ’em. I recently got to see a company’s effort at insight documentation. It was one of the best, most well-thought-out efforts I’ve seen at capturing the real benefits of products and tying them to customer’s needs, and providing phenomenal messaging for reps. It covered product info, how it tied to client needs (outcomes), how to navigate to the “insight” and how to deliver it. I was impressed. Please note, however, that this is what has been taught in sales classes since Xerox started a whole movement eons ago and Linda Richardson coined the phrase consultative selling (I still think Stop Telling and Start Selling is a great book). As I read through the documentation I’m raving about, please also note that I didn’t see a single true “insight,” or at least by my standards. It was damn fine work, though. Execution reigns. I may start to call this “Insight Redux.” To me, it’s what we should have been doing all along, but most people just didn’t execute well. And you bet, all that “insight” had better be tied to what the client is trying to avoid or achieve. 1. Insight is not just the “I should have had a V-8” realization to get the customer hot and lathered to change. It’s a great application of insight, though, the prepackaged Insight Pitch is probably limiting. But we can create insights throughout the selling/buying process–insights relevant to where the customer is and help move them along. 2. I couldn’t agree more about pre-packaged marketing delivered pitches that we rehearse, deliver, then are floored with the first challenging question in response. Insight is really about the conversation you have with the customer, how you engage each other in exploring new ideas, innovating, helping the customer dream, then seeing the path to implementing the dream and producing results. More often, in my experience, insight might be the thoughtful question the customer should be asking, but not asking, sharing an experience, news or comment. Sometimes, I think we overcomplicate insight. 3. Top performers don’t stop at providing the insight. They guide the customer through their buying process and ultimately producing results for the customer and their own company. Insight is only the starting point, but top sellers take it through to completion. Like you, sometimes I feel like Bill Murray in Groundhog Day. I think we’ve been here before. I like the healthy debate that is going on regarding Challenger Sales approach. I think it is getting salespeople to think about what they are doing. One of the biggest mistake a salesperson can make is to assume that the customer doesn’t have insights. I have not met such customer who is still in business. Their problem is usually internal that salesperson can’t fix. Challenger Sales does not go into this in depth since, if they did, then they can’t talk down relationship selling. The new model may be what Daniel Pink describes in his new book, “To Sell is Human,” when he describes how Palantir does it. They don’t have traditional sales people. They get their developers working with customers. They are co-creating a solution. Jay: Thanks for the very interesting comment. I tend to agree that “co-creation” is very important. Too often, we are arrogant in thinking our customers don’t know as much as we. We know a lot about our products and solutions, but the customers know a lot, probably more than us, about their businesses. While we can generate insights, ideas that can be helpful, ultimately, the solutions arises from the conversation we engage the customer in, co-creating a specific solution enabling them to achieve their goals. Hopefully, the “insight pitch” presented in Challenger Sales provokes a conversation and close examination/evaluation with the customer about how to implement a solution. Unfortunately, the book doesn’t take the discussion this far, or how to offer insight and challenge throughout the buying process–which is part of the nature of co-creation. Having said this, by way of clarification, the point of this article was less about Challenger Sales itself, but more about the general concepts of insight and getting the customer to think differently about their business. We need to constantly be challenging ourselves about how we bring insight to the customer through all phases of the process. WOW, what an excellent post mate. I don’t think I can add to anything that has already been said other than I totally agree with the argument you have made here. Finally, I personally believe your line thinking here only builds on the great work which the Corporate Executive Board has brought to the table via “Challenger Sale” body of work. Thanks for firing up my brain juices this afternoon as I was flagging after a series of back to back calls that started at 7am :). I look forward to reading more of your thoughts on the topic. Thanks Nicholas! I think the CEB has just scratched the surface, both in how to develop insight, what insight is, and how it contributes to the developing conversations we have with customers. Sales and marketing have many opportunities to help drive customer thinking, but all need to be focused on customer outcomes. David, thank you for the discussion of The Challenger Sale and bringing insights to customers. Yes, Matt Dixon, Brent Adamson and The Challenger Sales Team did not write the comprehensive “we know everything about sales” in one book. What they did do is bring qualitative/quantitative research into the sales profession and disciplines that most sales performance companies are not willing to do. In my opinion, the Challenger research provides a valuable framework into moving the sales profession forward in today’s challenging economic environment. They also called out executive leadership in that companies need to provide products and services that provide insights/solutions that are unique in to today’s competitive environment. While some of Challenger’s competitors called Challenger ‘dangerous” and “arrogant” I wonder how does this help the selling profession? In summary, Dave and the other participants keep up the great work in moving the selling profession forward with insights and experience. Keep attacking! Doug, thanks for the great comment. Everyone in the sales community was excited about the research the CEB has done and continues to do. It, along with that of other respected research companies, provide a strong base of data to look at sales performance. They’ve helped renew and reinvigorate the discussion sales people should be having with their customers–a focus on the customer’s business, opportunities to grow, opportunities to improve. These conversations have been at the core of selling since at least the early 70’s with Neil Rackham’s, Mack Hanan’s, Miller/Heiman and many others’s works. It has been continued since then. The data they’ve brought to reinforce this discussion has been very compelling. 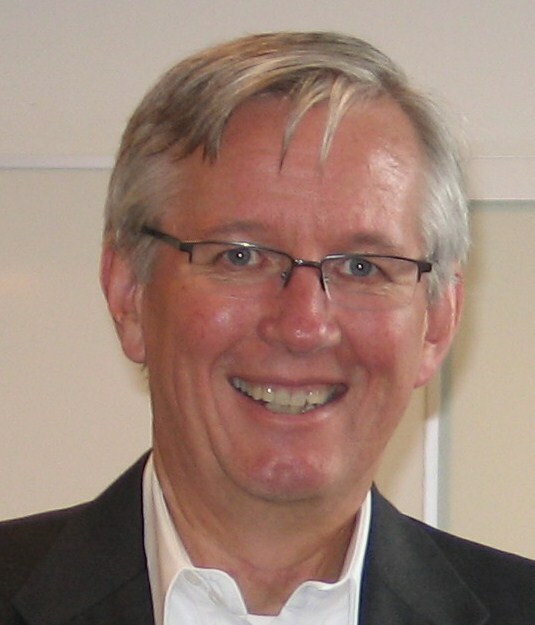 I guess, a question I’d like to see them address in their ongoing research, is “What keeps organizations from sustaining a customer focused, insight based approach to selling?” Before his death, Mack Hanan and I had many conversations about this. I know it frustrated him, as it frustrates many who have tried driving insight based approaches to selling. I’d also like to see research on the “Failure of solution selling.” Whether you define solution selling in the way most look at it (SPI’s definitions), or you define it in a different way, the underlying principles of solution selling have always included insight based approaches. Yet, as I mentioned above, few organizations sustain this approach on an ongoing basis. If so many people across so many decades are unified in their agreement about the importance of insight, why can’t we sustain that approach? What is the difficulty in implementation and execution that keeps sales leaders from maintaining the approaches they have invested in, whether it’s Challenger, Provocative Selling, Solution Selling, or any of the other methodologies that drive customer focused conversations. I don’t know anyone that has claimed the Challenger concepts are dangerous and arrogant. I think many, including myself, are concerned with the implementation promoted by the CEB, which does not seem to acknowledge that Challenging is most effective when the sales person has earned the right to challenge–either through a trusted relationship, a level of recognized expertise and credibility, and so forth. I remember a lesson, born out of arrogance and naivete, in my own career in the early 80’s. My team had done a lot of research about specific issues impacting the growth and business of a major Brokerage house. We had customer specific data, we had aligned many of the senior managers in recognizing, agreeing with, and supporting our analysis and our “challenge.” In the meeting with the top functional executive, regardless how right we were about our analysis and data, we were literally dismissed and thrown out. In hindsight, we discovered we had not established the trust or confidence with the top exec, and while our analysis was right on and we had the support of the team, we had not earned the right to challenge. We eventually recovered, but it took us a very long time. There are hundreds of other similar experiences, including many from people who have gone through the Challenger program, about the right insights and challenges failing because the people have not earned the right to challenge. I also think that much of the discussion in the sales community, and perhaps my personal opinion, is the CEB has a very narrow view of insight and challenging, and has under appreciated and underexploited the breadth and power of insight and challenging. Their focus has been on getting the customer hot and lathered with the Teaching Pitch. That is just one approach to challenging, focused on a single point in the buying process. There is so much more, both in approach (a pitch versus a conversation, versus co-creation) and in application through the entire buying process. They’ve also missed the application of challenging and insight across other functions–primarily marketing and product management. This narrow focus, from a CEB business point of view is leaving millions on the table, and missing many opportunities to further serve their members and customers. In summary, for decades, several generations of thought leaders have said providing insight about the customer’s business, helping them see new ways of doing things, focusing on what’s in it for them had been at the core of the best sales thinking and methodologies. The CEB data helps crystallize many of the issues, and has reinvigorating the discussion. Regardless of approach in providing insight and challenging, the questions are less ones of to challenge or not, but how do we do it appropriately, and how to we sustain this in our sales organizations over years, not months. Thanks for raising these great issues Doug! 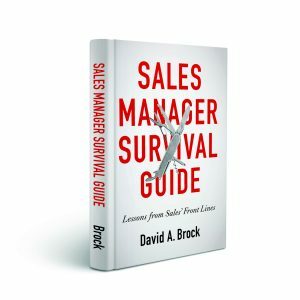 David – excellent points and I agree that selling is more complex than just “challenging” a customer and that “Challenger” sales philosophy is not a one size fits all philosophy that fits all selling scenarios. You and others have made excellent points and we all learn from different perspectives that can move this profession forward. As my friend a retired US Navy flier has told me many times “no one is that smart anymore” and we need as many perspectives as possible. As far as the attacks on Challenger as “dangerous” and “arrogant” I can give you specific comments and quotes from sales leaders saying exactly those words. Rather than call out and embarrass the executives who have made these public comments I would hate to embarrass them. If you would like we can discuss off line. “What keeps organizations from sustaining a customer focused, insight based approach to selling?” has many obstacles. For example, why aren’t our schools of higher education doing a better job of educating sales professionals when they first enter the job market? Want an MBA in Marketing – go out and sell for a few years! Keeping a focused based approach takes leadership, training and reinforcement takes discipline, leadership and reinforcement. While we can train US Marines or any other military disciplines to become leaders as young as 18 many times we can’t provide a disciplined approach to sales in a productive way that leads to increased sales and productivity. Go figure. David thank you again for your leadership and input! Well, I’m finally catching up on my “GO READ” list and happily discovered a robust discussion going on here. Great stuff. If I may add one extra dimension to this, it is that the value of an insight is measured by how effectively it helps a great decision to be made. In other words, I can have that “V-8” moment and think I have a real insight, but if it doesn’t give a compelling reason to make a great decision it is not as valuable as I thought. This brings up a few things (at least in my random brain). First, I can see an army of sales people marching out to “conquer the world” (with their business leaders drumming them on), armed with the wrong definition of success. Success is not simply how good they are at generating insights/challenging their clients (and I have the personal scars to prove this). Success is generating the kind of insights that drive great decisions to be made. By the client AND the sales person. Second, if great decision-making is the goal, then we are automatically enlisted to support the entire buying process. As you said, we are under-valuing the application of insight/challenging by relegating it to the early phases of selling. I would encourage sales teams to figure out how the definition of the problem evolves over the buying experience AND determine what kinds of decisions need insight throughout that experience. Third, the definition of great decision-making should include knowing when to walk away. While it would be somewhat comforting to think that all clients “need” us, the truth is that there are many clients who are simply not the clients we can provide value for. My insights should also help me determine this – thus driving down the costs of selling and redirecting me to more profitable activities. Or as they say in Georgia, I gotta know if that dog won’t hunt. I mua (onward and upward). Tim. thanks for the great insight 😉 It was worth the wait! To have any value, insight and challenging has to lead to a desire to change. Otherwise, it’s just pleasant conversation. I think there’s been such a rush to challenge or provide insight, the focus is on the “form” and not the “substance.” Also, unfortunately, I think we may not be equipping people with the knowledge, skills, and capabilities to go the next steps with customers and help them make great decisions. This isn’t done unilaterally, but through discussion, conversations and debate between all those involved in the decision-making process. Great decision-making, producing fantastic outcomes is not the result of the insight. The insight is the spark that starts the process, but the tough work is in continuing to provide insight and leadership through the entire process.